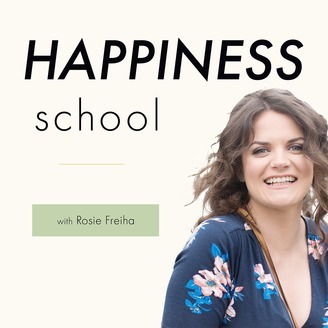 Join Happiness coach Rosie Freiha on a journey to discover the true meaning of happiness. When Rosie quit her well-paid job in finance to become an online freedom entrepreneur, she thought her life would be set. But as she hit life goal after life goal, she still found she was feeling less and less fulfilled. So, she decided switch gears and discover what really creates happiness. 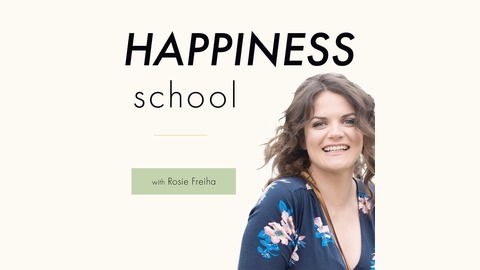 Subscribe now to hear from experts around the world on everything from spirituality to love, success to giving back; and also hear Rosie's latest discoveries in her study of happiness. How are love and money are connected? Daniella Astor can explain; she is a Love coach who works with women to help them find their ideal relationship without compromising their work schedule life plans and goals. She took a sudden break-up as a chance to go on a learning curve and figure out exactly what she wanted in a relationship – but also what she could offer her partner. Now she helps other women discover this for themselves, providing one-on-one coaching and optional intensive modules to enable women to focus on themselves and on the love they wish to find. Daniella believes that if you lead with love then the rest will follow; that focusing on finding love does not mean you need to give up anything else, including your career. Listen now to find out more about her work and about finding the relationship that is perfect for you! 00:13: Daniella explains how she helps women find the relationship they want and how she came to be a Love Coach. 01:15: The resurgence of the deep desire for partnership and motherhood coinciding with feminism and striving for a successful career – how this can affect us and our relationships. 08:30: You can create the life that you want, so how can you create the relationship that you want? Daniella explains. 21:01: The concept of energy when searching for a partner and how we are conditioned to treat dating. 27:53: Our predisposition to focus on negativity and vulnerability and why this can be a drawback in relationships. 38:57: Can we be happy without a relationship? 42:40 How does Daniella think we can find happiness? Want to be more happy?